In 1993, Whitney Houston ruled the pop charts. The late diva’s iconic recording of Dolly Parton’s “I Will Always Love You” was the year’s No. 1 song. It was also the year of Nirvana’s “Heart-Shaped Box,” Pearl Jam’s “Daughter” and Belly’s “Feed the Tree,” songs that all topped Billboard’s Modern Rock Tracks chart. Nestled between these two genres, pop and alt rock, were the Posies. 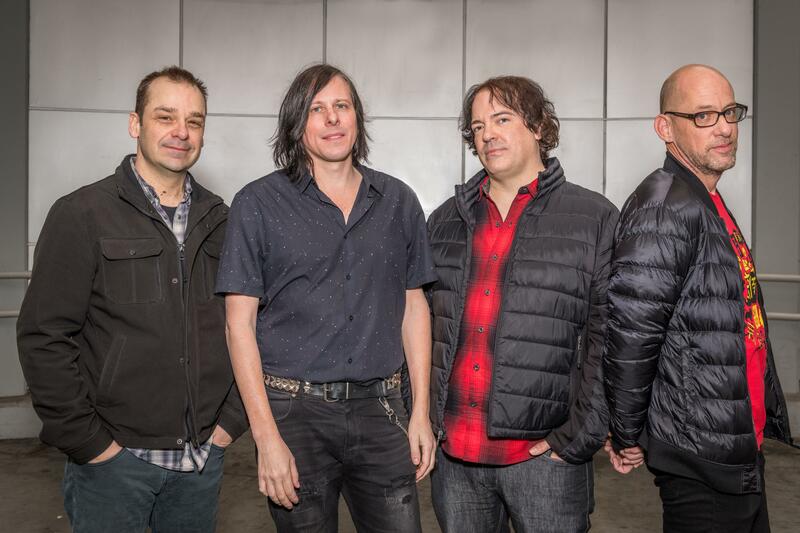 Formed in Bellingham in 1987 by Jon Auer and Ken Stringfellow, the Posies are a power-pop group that specializes in shimmery hooks, catchy melodies and clever songwriting. Their first album, “Failure,” came out in 1988. They gained notice with their 1990 major label debut “Dear 23,” which sported “Golden Blunders,” a song Ringo Starr would later cover. In 1993, Auer and Stringfellow, along with drummer Mike Musburger and bassist Dave Fox, released the Posies’ most highly regarded and successful album, “Frosting on the Beater,” which spawned the hits “Dream All Day,” “Solar Sister” and “Definite Door.” A followup, “Amazing Disgrace,” was released three years later. Auer and Stringfellow kicked off the anniversary tour with a short run of acoustic shows featuring just the the two of them. But for the full tour, they’ve reunited the “Frosting on the Beater” lineup, with Musburger and Fox for the first time in 25 years. Coming back together has been an easy process, Stringfellow said. At the Bartlett on Tuesday, expect to hear all of “Frosting on the Beater,” if not in album order. Stringfellow also toured extensively with R.E.M. and appeared on the albums “Reveal,” “Around the Sun” and the “Man on the Moon” soundtrack. He also played with fellow R.E.M. members Pete Buck and Scott McCaughey in the Minus 5. He’s recorded a handful of solo albums, worked with bands such as White Flag and also is in demand as a producer. Auer, meanwhile, has recorded the solo album “Songs From the Year of Our Demise,” launched the band Dynamo Royale and produced a host of bands, including Tad and Redd Kross.